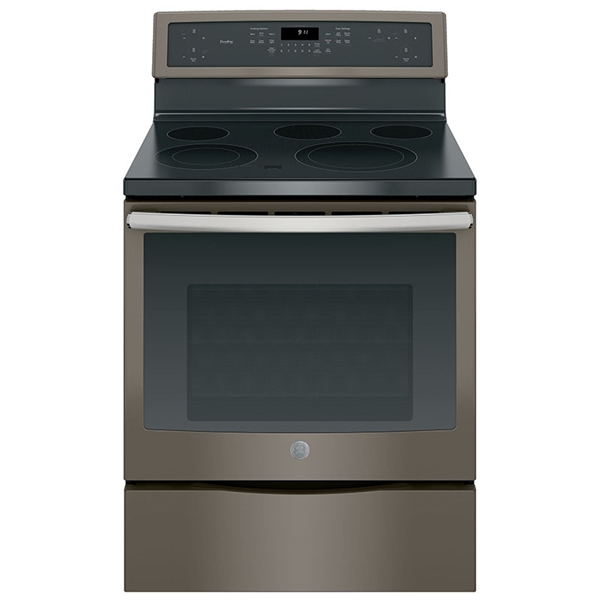 This GE Profile electric convection range features True European Convection with Precise Air so you can enjoy perfectly even results without turning the pan. 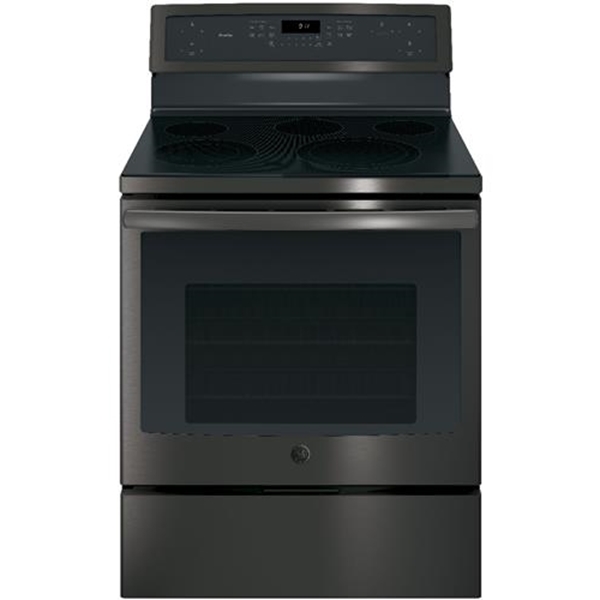 This oven quickly preheats itself so hot meals can be made quickly when you are in a hurry. 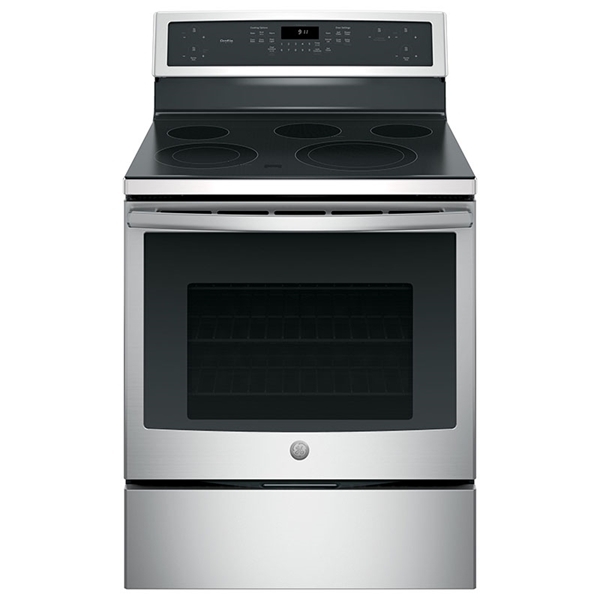 The self-clean with Steam Clean option allows you to clean your oven the way you want. 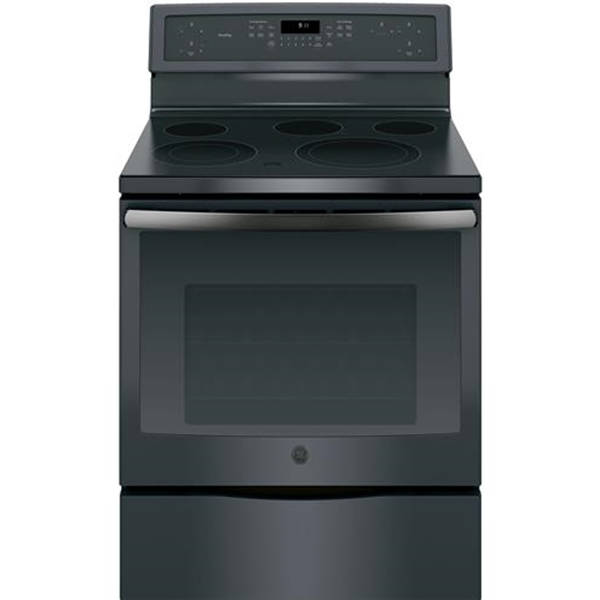 The hidden bake oven interior makes cleanup easy by eliminating hard-to-reach areas.